Have A Little Faith is filled with against all odds stories. No matter what the doctor says, no matter what the economy is doing, the people of God must Have A Little Faith and believe that God has not forgotten. The writers of this anthology have beaten the odds against cancer, multiple sclerosis, physical abuse and the general struggles of life. 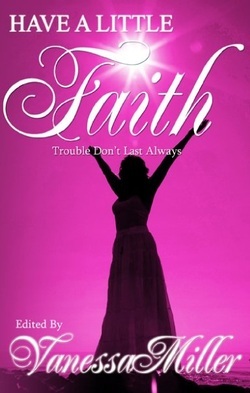 Have A Little Faith will uplift and inspire readers to believe... trouble don't last always. Edited by Essence best selling author, Vanessa Miller. Dr. Lily's story is entitled, 'The Breakthrough'. Victorious Living for Moms is an anthology project sharing personal stories and empowering principles with women around the world with a mother’s heart. With transparency, wisdom and wit each writer reaches the heart of mothers who are struggling to find the victory in their situation. 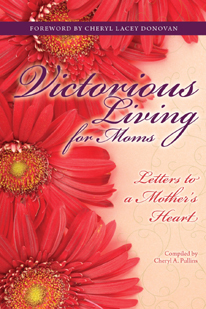 Victorious Living for Moms is the collaborative effort of over 30 authors from around the country who have put pen to paper. In this time and season, mothers need much help and support as they journey through life. Dr. Lily's story is entitled, 'A Daughter's Confession'.